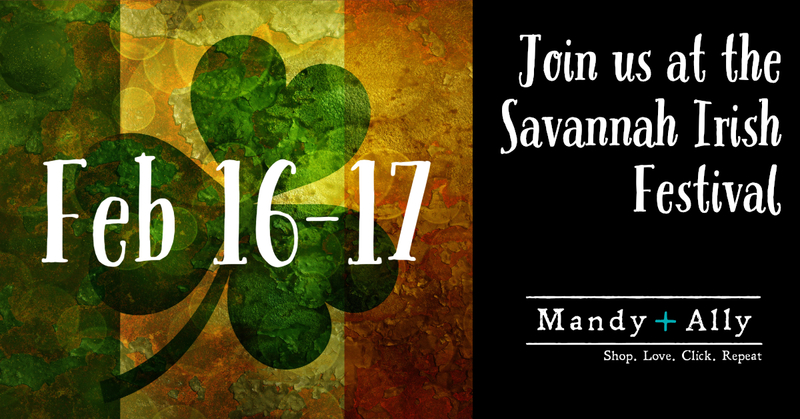 Join Mandy + Ally at the Savannah Irish Festival February 16th and 17th. We'll be there with lots of GREEN clothing just in time for St. Patrick's Day. Plus our NEW spring fashions $10 - 50.